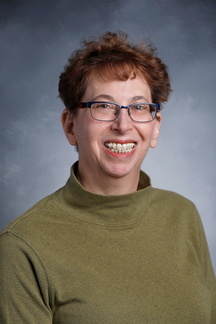 Jamie Feldman, MD, PhD, is faculty in the University of Minnesota Program in Human Sexuality and provides evaluation and treatment of sexual dysfunction and transgender care at the Center for Sexual Health. She has chaired the World Professional Association for Transgender Health Transgender Medicine and Research Committee since 2001 and published on transgender hormone therapy and primary care. Feldman also trains medical students and residents in sexual health and maintains a primary care practice at the University of Minnesota Physicians Women’s Health Specialists Clinic. 2010-ongoing, NICHD, study clinician/consultant, "Immunological Factors and Risks of Vulvodynia"
Feldman J. Preventive care of the transgender patient: an evidence-based approach. In: Ettner R, Monstrey S, Coleman E, eds. Principles of Transgender Medicine and Surgery. 2nd ed. New York, NY: Routledge; 2016:64-99. Feldman, J. (2016). Preventive care of the transgender patient: An evidence-based approach. In R. Ettner, S. Monstrey, & E. Coleman (Eds. ), Principles of Transgender Medicine and Surgery (2nd ed., pp. 64 - 99). New York: Taylor & Francis. Feldman J, Swinburne Romine R, Bockting W. HIV risk behaviors in the U.S. transgender population: prevalence and predictors in a large internet sample. J Homosex. 2014;61(11):1558-88. Feldman J, Spencer K. Gender dysphoria in a 39-year-old man. CMAJ. 2014;186(1):49-50. Eckman PM, Dhungel V, Mandras S, Brisco MA, Emani S, Duval S...Feldman J. Sexual function after left ventricular assist device. J Am Coll Cardiol. 2013;61(19):2021-2. Deutsch M, Feldman JL. Updated recommendations from the World Professional Association for Transgender Health Standards of Care. American Family Physician. 2013;87(2):89-93. Coleman E, Bockting W, Botzer M, ...Feldman J, et al. Standards of care for the health of transsexual, transgender, and gender nonconforming people, 7th version.International Journal of Transgenderism. 2012;13(4):165-232.